Please select the time slot/slots you'd like to volunteer at the market, Sundays December through April. There will be no markets on December 30 and April 21 (Easter). Once the needed number of volunteers has signed up for a time slot, the slot will be closed. 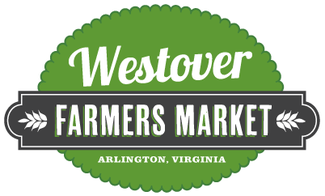 Thanks for your support of the Westover Farmers Market. See you Sunday! Please note that for the Winter Market, the opening and closing volunteer shifts are 1.5 hours, the mid-market shift is 2 hours. Do not sign up for the trailer or market manager slots. Closing (12:00 pm - 1:30 pm) - Breaking down the WFM tent; clean up and removal of signs; packing up the trailer; helping vendors with their break down if needed. Monitoring traffic as the vendors leave. The market manager will provide additional guidance at the market.